Capture valuable customer data on your WiFi network and integrate directly with your favorite marketing applications. 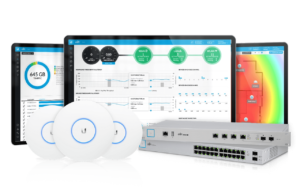 Our WiFi Hotspot CRM is built specifically to work with Ubiquiti UniFi hardware. Easy to set up with no additional hardware required. If you have your own hosted controller you can try our service on a 14 day free trial below! User data captured and stored for your email marketing campaigns. Access all you user data and config settings on dedicated online dashboard. Apply venue branding including color and logo for a personalized experience. Identify and reward your most loyal customers with visit frequency stats. Users authenticate quickly with email and other data being captured for marketing. Welcome your customers back by name on their next visit to your venue. Increase your venues TripAdvisor Ranking by inviting WiFi users to review their experience. Direct all your WiFi users to a webpage or special offers landing page. Turn your WiFi into a marketing machine. Get in touch for a demo with our team! What does UniFi Controller Online Mean?